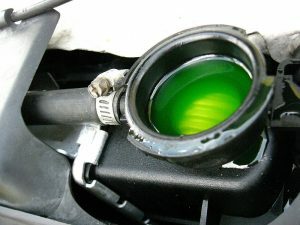 Antifreeze, also known as coolant, is imperative for keeping your engine running smoothly. It can keep your engine from overheating and from freezing. It is also able to protect the metal in your engine to keep it from corroding. Like everything else, though, your antifreeze needs to be changed regularly. Otherwise, it will break down and the corrosion inhibitors will stop working. This will cause the components to no longer work the way they should. Below are some of the maintenance tips to help you keep your antifreeze up to par so they can continue to do the important job in your engine. Open the drain valve on your radiator to drain the cooling system. Once the fluids have drained, close the valve and fill it with fresh water, then put the radiator cap back on. Start your engine and turn your heater on high to flush the system for 15 minutes. Turn off your engine and allow it to cool. Drain the system again then close the drain valve. If you need to flush the coolant out completely, repeat the steps several times until clear liquid drains from your radiator. Make sure to always follow the local and state regulations to dispose of the old coolant. Before you do any kind of work on your engine with the anti-freeze, make sure you consult your owner’s manual from the manufacturer. Your particular make and model may be different than others. Typically, the manufacturer will recommend changing your antifreeze every 2 to 3 years, or more if you drive and a lot of miles. Also, if you drive in temperatures that are extremely hot, you may need to change your antifreeze every year. On the other hand, if you drive a newer vehicle, you may not need to change it as much. This entry was posted in Maintenance and tagged Antifreeze on May 7, 2017 by Erica Nguyen. Cadillacs Saloon © 2019. All Rights Reserved.